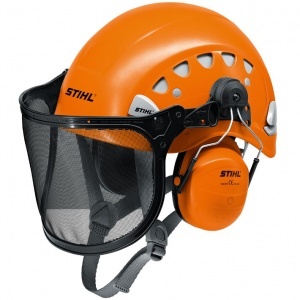 A ventilated helmet with a light weight ideal for professional forestry work at heights. Comfortable for use even over long periods, Husqvarna's Technical Arborist helmet is a great choice. 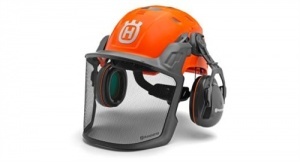 Boasting ventilation holes and a light weight thanks to its expanded polystyrene shell inside a foam covering, Husqvarna's Technical Arborist helmet is comfortable to wear even over long periods. It also features a centre fit system allowing harness adjustment using two wheels to centre your head in the helmet for optimal stability and balance. Specially developed for working at heights, the chin strap and adjustable neckband help provide a comfortable fit. The visor gives just 20 percent light reduction over the entire mesh, compared with standard meshes of 30 percent. Note: This helmet is only approved for forestry work at height, not on the ground. 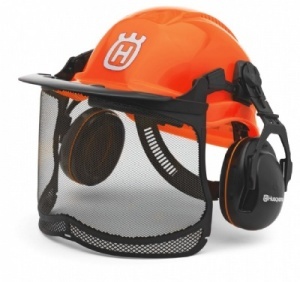 Boasting a low light reduction visor for superior visibility, plus fully adjustable hearing protectors and a comfortable helmet, this is an ideal set for forestry workers looking for premium comfort and ergonomics. This helmet includes an innovative ventilation system plus a sturdy but lightweight design. 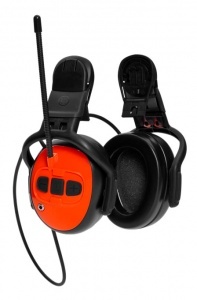 it includes hearing protectors and a visor, plus has the option for FM radio, if desired. 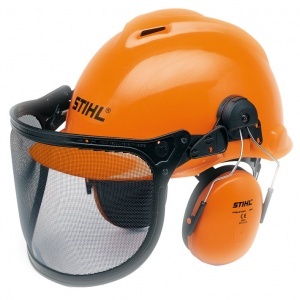 STIHL's tried and tested STANDARD helmet set includes a visor and ear protectors, providing high noise protection as well as a robust ABS shell. Conforms to EN 352, EN 397 and EN 1731. 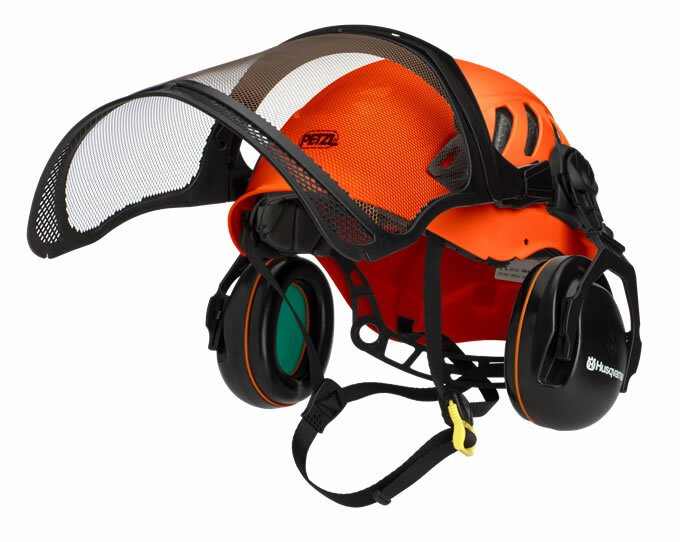 Known as the VENT PLUS helmet due to the five large adjustable vents on each side, this is a practical and comfortable helmet for arborists, with a service life of up to 10 years.